Sometimes, you may start feeling worried about your relations. 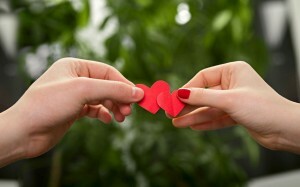 If everything is OK between you two or whether you really fit each other, and are your relations are very firm. Each situation gives you signs which will definitely tell you that you are spending great time together, and this will last for years. » Read more..
1. What can make you smile, even when you are upset? These are children. Since I am engaged with them, teach my boys and girls to dance, I know that even if I come in a bad mood to rehearsal they always raise a smile on my face. 2. What is the biggest regret in your life? » Read more..
Hello to everyone! Spring is almost off, but blooming is everywhere. Don’t miss this opportunity to meet charming ladies! But question, what do gorgeous Russian brides and flowers around you have in common? Simple as that, really. Flowers can help you in picking up cool chicks. You don’t believe it? So read our tips! » Read more.. Stability and harmony in your relationship with a Slavic lady do not appear suddenly. Psychologists distinguish 5 phases of coming closer together that helps two people build strong relationship. If you dropped out one of them, you need to go back and get through this phase to make your couple happy. » Read more..
I’m here to say thank you Step2Love that you bring to me the hope which I’ve almost lost. The hope that love still does exist in this world and the depth of the feelings cannot be reached at all. I had so serious disappointments in my life that changed my way of thinking to disbelief to love. I was almost ready to forbid myself to feel such sweet emotions as hope, joy, gratitude, passion and love with any woman of the world. But smiling Valentina from this site bring this joy into my life and I had gladly succumbed to her charm! No matter how long I was looking for this lady, she had drastically changed my life in one moment! I’m very thankful to this little Ukrainian lady and I hope she will agree to become my young and precious wife! What is the best way to know a person better? Of course to spend lots of time together and to communicate! For those who is quite shy and often can’t find a topic to talk about, and even for those who is really talkative, there is a humorous holiday existing! 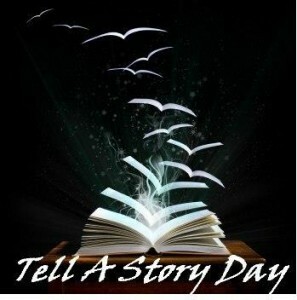 Tell a story Day is celebrated on the 27th of April. Its main idea is that you should tell stories to everyone. If you have already found your beloved woman, this is a nice reason to write her a letter about this holiday, and maybe she will support the idea and tell you a story back. » Read more.. There are lots of sayings and opinions among men that it is almost impossible to understand a woman, her motives, thoughts or logic. And men are usually puzzled about how women manage to understand each other. Besides, they think that there is no woman friendship at all, what is actually not true if we are talking about adequate people. Yet, there are many things which can be easily explained. At least you could ask your woman about this or that moment which makes you curious. » Read more.. There are lots of aspects of healthy relationship for every separate couple. Some things which are perfect for one can not fit much for another. Still, there are several pillars which can help everyone and which lots of people can ruin slowly and spoil everything they have. Just help them be stable, and they will hold your relations for many-many years. You should keep in mind that only collaboration works, and it works in any situation, whether it is surviving in the woods or love. So, you should always give something to your partner, and it is better to give even more than you receive, as you will launch the snowball effect. Your beloved person will feel this and will also try to give you more, so as a result you will completely fit each other and bring and receive only good and positive things. » Read more.. In general Slavic ladies create the impression of goddesses and probably are the most beautiful ladies in the world. Let’s say that if a real goddess ever lived at this Earth, probably she might be a Slav. These women are not only pretty but also kind and smart so can really lay claim to the title of a perfect creature. But such a special lady needs a special treatment. So Step2Love offers you a few tips for your dating with a Slavic lady. 1. Always remember that her appearance is very important. » Read more..
1. What can make you smile even when you are upset? These are good music, my friends and relatives. Sometimes it is not so easy be happy and do not worry about some problems or feelings, but I think that life is too short to be in the bad mood and to radiate negative emotions. » Read more..